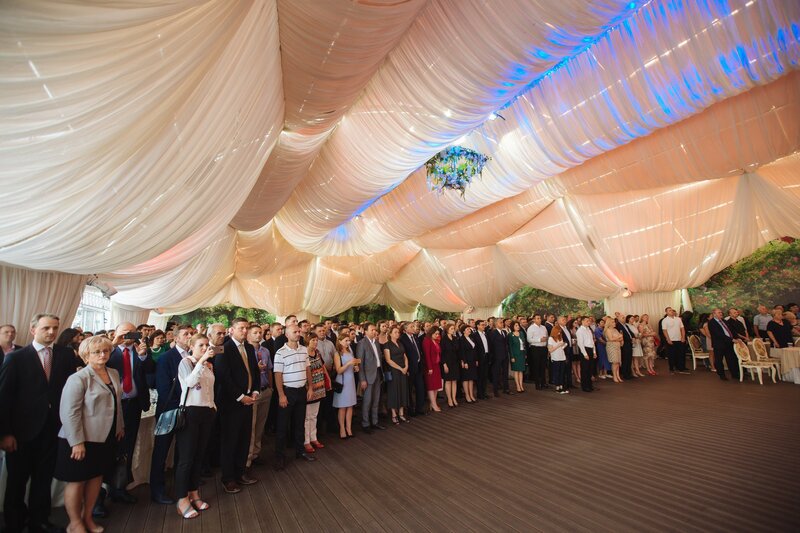 On July 6, 2018, AmCham Moldova partnered with the U.S. Embassy in Moldova to commemorate the 242nd U.S. Independence Day. On a sunny and warm summer day, over 500 representatives from the U.S. Embassy, AmCham members, partners and friends joined together at the Capitoles Park to celebrate American values and independence. Inspiring speeches from H.E. 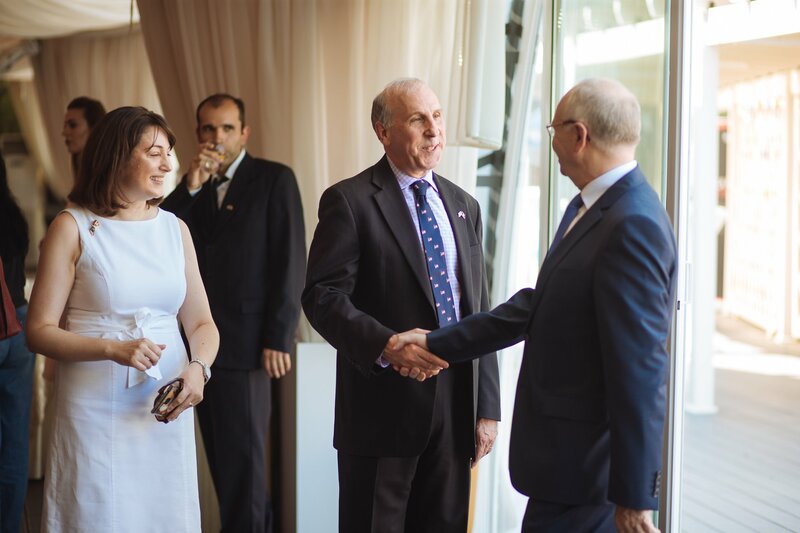 Mr. James D. Pettit and AmCham President, Veronica Malcoci kicked off the annual event which was followed by a traditional BBQ and American style music. The guests enjoyed BBQ favorites such as hamburgers and hotdogs while dancing to rock classics from the US Army Europe Rock Band, country melodies from an up and coming young artists and jazzy tunes. Cold drinks and ice cream were shared while the guests had the opportunity to network and meet with colleagues and friends under the summer sun. We express our sincere gratitude to our sponsors and partners for their collaboration and participation in the event! Thank you to all of our guests who attended our party and we hope to see you at next year’s event!